Come back to a new episode of Heartland this Sunday! It's a pretty good time to be a Heartland fan in Canada. Here we are, going into the fourth of six Sundays in a row that'll see our favourite family drama premiering a brand new episode on CBC Television. And this one brings with it some drama... and some uncertainty. When it comes to this new episode, the wonderful thing is that we get not 1, not 2 but 3 cast members making an appearance to answer the much-asked question “Where is everybody?” Yep, Michelle Morgan is back as Lou Fleming Morris, who has returned from her book tour to find things are… well, a little different. But she's a little different as well. There’s something going on, and the family (and us viewers) will eventually get to the bottom of it. 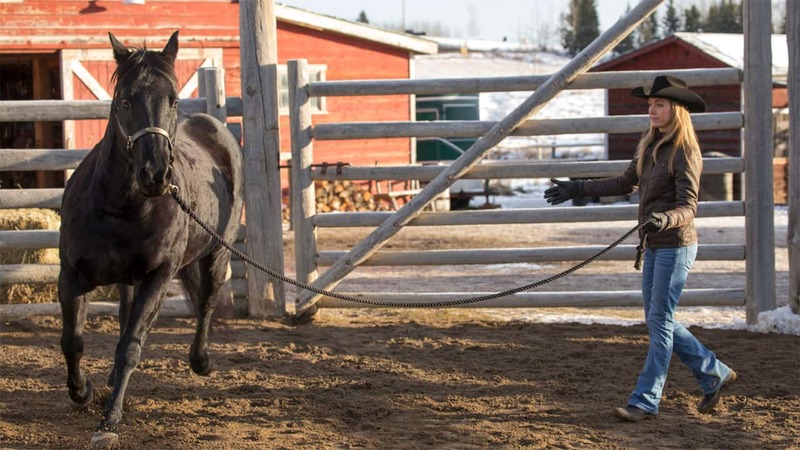 Nathaniel Arcand is back as Scott Cardinal when Hudson's favourite vet has to check out a horse owned by Hollis Landon (Guest appearance by Joe Norman Shaw). This horse becomes very important in this episode -- and beyond. 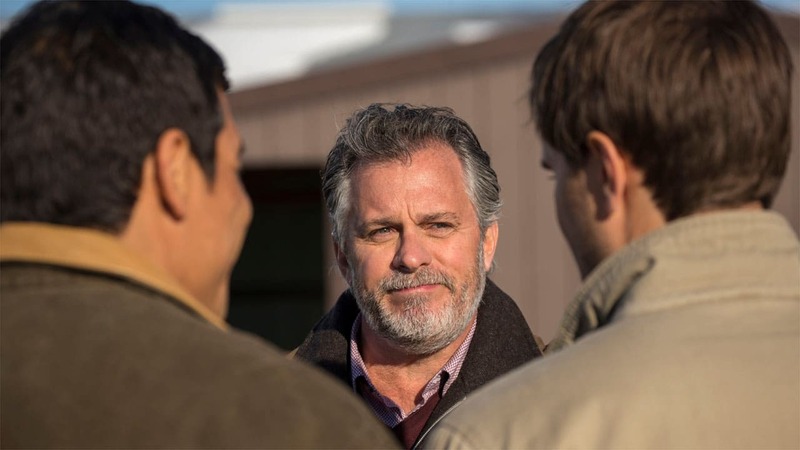 Caleb Odell (played by the one and only Kerry James) is back in town and Caleb has a very keen interest in the Hollis Landon horse. You'll find out why on Sunday. This episode we also learn that things are a little down at Heartland. Amy hasn't been getting a lot of work and so with Lou’s encouragement she hosts a clinic, where we get to see her working with Spartan (some of you have been asking for that, right?) and help a clinic attendee by the name of Martha (played by guest star Jordan Madley). And speaking of things being down, poor Ty seems to need more than twenty four hours in a day. Vet school, his job at Scott's and studying is taking a toll on him. Throw in Tim wanting him to perform some truck repairs -- sooner rather than later -- we find that it's all turning into a little too much at once. 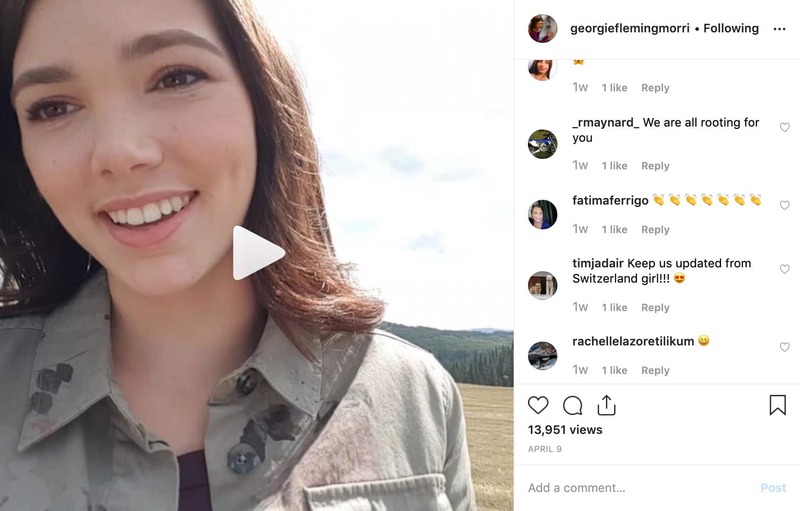 Georgie is thrilled to have her mom back and Jack has a fairly relaxing time this week, although it's never entirely relaxing at the Heartland Ranch now is it? I’ll warn you ahead of time; Episode 716, and the following two episodes, 717 (premiering April 6) and 718 (premiering April 13) all tie together, so this Sunday's (March 30) episode will end with some things up in the proverbial air. 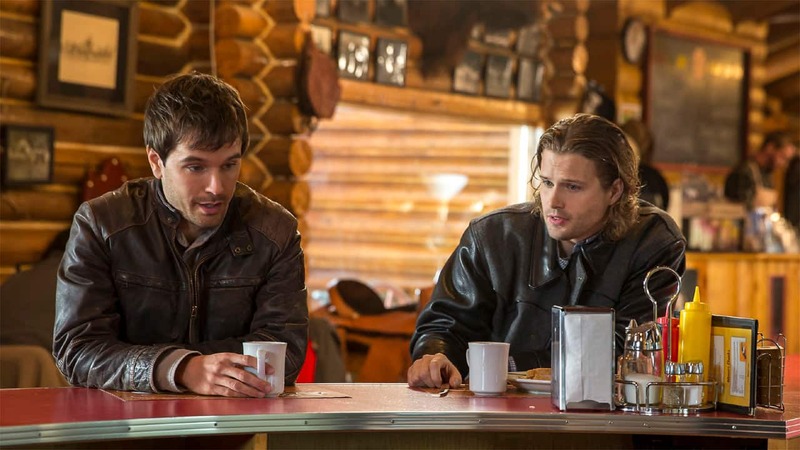 It's all the more reason to get you back watching Heartland the following two Sundays. Heh heh. So that’s all I'm going to address this week, other than to once again remind new fans to download the free Heartland Companion App, cause it's a whole herd of fun. It augments (Q: Augments? A: Enhances or adds to) your viewing pleasure and I can’t recommend it highly enough. You'll get a highly interactive experience that includes trivia, lots of cool tidbits of info about the show, exclusive scenes that play during the commerical breaks -- and a chance to win a really cool prize!!! Available in Canada only (cause Season 7, which it is the "Companion" to, is available in Canada only). If you don't have an iOS device, you CAN still use the web version of the app, which can be found RIGHT HERE on Sunday night at 7pm, and you can use whatever device you use to browse the internet to use the app that way. That's it, Heartlanders. 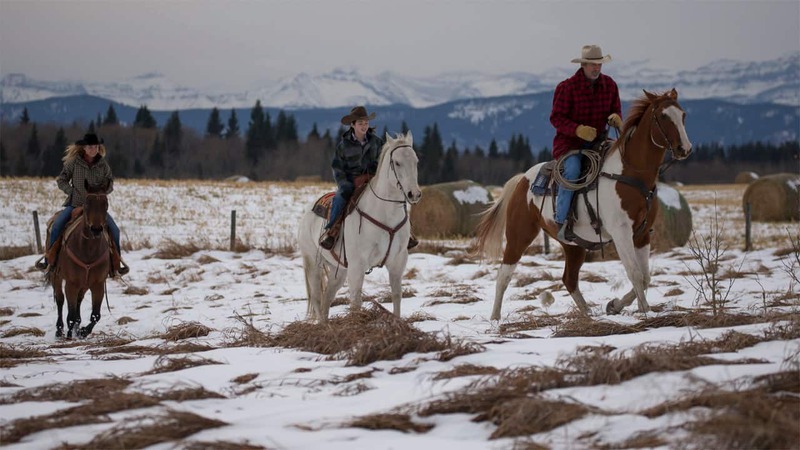 I do hope you watch this Sunday's new episode of Heartland -- and if you're not sharing what you think about the episode on the show's Facebook or Twitter -- please come back here to this blog post and share what you think here. I read every comment! Next week I'll be back with another post, and as my new annual tradition, I'll be using the word "penultimate" again... (Cue groans from long-time fans of the series). So until then, take a look at these photos from 716, and let me know which returning character you missed seeing the most and why!